Over the past three days, we saw in Amsterdam the fourth major Bitcoin conference this year, following the Bitcoin conference in San Jose in May and the two in London and New York in July. The event brought together roughly two hundred people from around the world, and packed in three days of presentations and panel discussions on Bitcoin businesses, software development, government regulation and even economics. 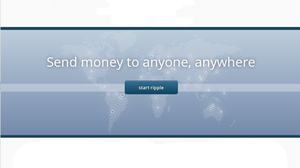 Many businesses took the opportunity to announce their presence for the first time through booths or presentations, and many existing businesses announced new features or products; perhaps the most major announcement was that Ripple is now open-source. 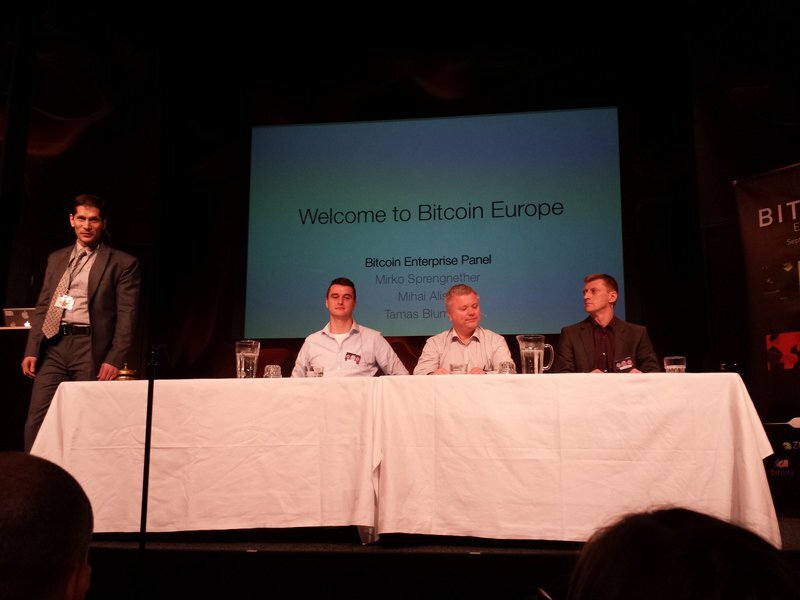 Unlike the conference in London, and like the conference in San Jose, the main focus of the event was Bitcoin businesses. Businesses had the opportunity to set up booths in the conference room iself, making themselves highly visible throughout the presentations, and half of the presentations themselves were from individual Bitcoin businesses presenting themselves. Among the “old guard”, business attendees included BitPay, the Bitcoin merchant processor that now has ten thousand merchants signed up accepting Bitcoin, BitPay’s European competitor BIPS, US Bitcoin exchange and merchant processor Coinbase, and the alternative payment networks Ripple and OpenTransactions. The newer Bitcoin businesses, showing themselves to the community for the first time, include the self-explanatory Anonymous Ads, the Bitcoin clothing and merchandise seller B-side, Swedish Bitcoin exchange Btcx.se and the online marketplace Egora. Somewhere in the middle are the Trezor Bitcoin hardware wallet and BitsOfProof, a company developing an alternative full implementation of Bitcoin geared for enterprise use. However, although the format of having presentations and booths in the same room had its advantages, it was also limiting. Businesses had little opportunity to actually demonstrate their products to anyone up close, and even talking to entrepreneurs was a challenge. In San Jose, on the other hand, businesses had a separate exhibition room to set up in, making it possible to interact with entrepreneurs and representatives at length without disturbing the presenters who were in other rooms. Another issue was space; in San Jose, every business had susbtantial room to set themselves up, whereas here every business only had one table against the wall of the conference room. In terms of the theme of the event, the relative absence of the mainstream finance community, so heavily dominant at the conference in London, and the alternative emphasis on businesses providing low-level infrastructure was certainly a welcome change. However, the more radical conception of this event as “an open-source conference” was difficult to see; all in all, the event was simply just another conference. One can argue that in this regard the conference’s organizers did exactly the right thing; they stuck to the same pattern that has been proven to work reasonably well in previous conferences, but made subtle steps in their choice of speakers to push the general theme of the conference closer to what they wanted to see. Two weeks ago, Moe Levin wrote: “we’re trying to be different. We’ve done market research on attendees and saw that people wanted to see more devs, more entrepreneurs, and more of the people that are not ‘getting rich quick’. they want to see people with good ideas, working on them, and succeeding in making the community a better place.” Looking back now, in this regard the conference certainly succeeded. However, in some places the conference certainly could have done more to be different. The organizers expressed the desire to set up a “convention” rather than a “conference”; this was certainly a noble sentiment, as Bitcoin convention attendees often say that the main benefit of the events is networking,in reality, however, there were no organized events other than the presentations, so the word “conference” was really the only way to accurately describe the event. This is in many ways related to the space issue; if the businesses had the opportunity to set up larger booths and have a heavier focus on directly interacting with people outside of pre-scheduled presentations, the “convention” aspect of the conference would have been much better executed. We have goals as a central bank. We have to ensure financial stability, stable and reliable financial systems and those are our objectives. If we see if Bitcoin can contribute to that or has the opposite effect, then we see what we can do about it. [Cryptocurrencies overtaking fiat currencies] could be a case I don’t see happening quite soon. But we look at it from different angles of course. As a central bank in the Netherlands, we’re both supervisor and central bank. You cannot regulate Bitcoin, but on the other levels you could do something about it. For us, we’re definitely looking into it, we don’t want to make a bold statement yet. I canot speak for every regulator, but it is something difficult, this Bitcoin system. Of course we want to see everything and confiscate money [audience laughs] … we have to see what we can do and what we can’t do. With all the new payment methods and technology there is always a way to fit it into the regulatory system – there was always a connection. Now, it’s something completely different. Local currencies have real value in those local communities, for instance, so it’s not something that should be gone, it has very real value. So maybe there will be more of these currencies that do have value in and of themselves. For there to be a payment system that people trust, for us that’s the important thing. But if one currency would for any reason harm that trust, that’s something we will need to do something about. For us trust is the most important thing. I don’t think it’s my job to say that Bitcoin will solve all the monetary issues so let’s switch to it. I don’t think that will happen … I understand that Bitcoin has value in online payments. As regulators we’re always behind in online payments. What I can only say is, try and do and give services and build your trust, and as long as you’re open or transparent and can create trust very well. [I am doing] research on new payment methods, so that’s why I came across Bitcoin … Bitcoin is being used for extortion, for example. Because it’s irreversible it’s beneficial for criminals to use Bitcoin to use money around. If you are extorted and pay with BTC it’s harder to trace what happens. I personally encourage the Bitcoin community to come up with some kind of method to make it less attractive for criminals. Is Bitcoin actually being used for criminal purposes on a large scale? There is not much [crime] happening with Bitcoin other than Tor marketplaces. There are some cases where money from bank accounts is transferred to Bitcoin exchanges. Wieske Ebben’s acknowledgement that the Dutch central bank was not planning on regulating Bitcoin itself at the protocol level was taken as a strongly encouraging sign by the Bitcoin community. Many people fear that the US government, or other governments, will either try to make Bitcoin itself illegal or try to force Bitcoin developers to implement privacy-reducing features into the system. On the more extreme end, some are concerned that the government will require transaction reversibility or mandatory identity verification. However, more subtle possibilities do exist; one example is a fee for registering a new Bitcoin address, designed to discourage users from using one address per transaction to increase their privacy. If Ebben’s words are to be taken at face value, at least the Dutch government will try none of these things, and any regulatory efforts that it makes will be focused on regulating Bitcoin businesses instead. Wieske Ebben’s claim that the central bank’s regulatory efforts are aimed at maintaining public trust has received less attention, but it is arguably equally significant; specifically, it means that the importance of Bitcoin’s anonymity is overstated, and the greater problem in regulators’ eyes is the risk that Bitcoin businesses will either pull a MyBitcoin or Pirate-style disppearance or lose their customers’ deposits to hackers. In this regard, the Bitcoin community is already taking excellent strides toward regulating itself; nearly all Bitcoin exchanges and financial platforms now store over 80% of their Bitcoin funds in cold storage, a policy that has already saved depositors’ funds when Bitcoin Central was hacked in April. Gambling sites use provably fair gambling to prove to their customers that their random number generators are fair and they cannot cheat without making it immediately publicly obvious. In theory, it is possible to make exchanges’ cold wallets publicly verifiable as well, putting to rest concerns that individual Bitcoin exchanges are actually stealing users’ deposits and maintaining a fractional reserve for their own gain. These aspects of Bitcoin, far from inspiring governments and banks to strike against it, should make regulators quite excited about the possibilities that Bitcoin can bring. The next two conferences in the Bitcoin scene will be the Crypto-Currency Conference in Atlanta on October 5, followed by the Ripple developer conference on October 6-10 in Las Vegas. The Crypto-Currency Conference will focus heavily on the implications of Bitcoin for economics and monetary policy, whereas the Ripple developer conference will focus on technical aspects and merchant integration. Further on, we can expect to see a conference in Argentina, as well as an unSYSTEM event in the spring of 2014 (which was originally planned for early November this year). Hope you can attend!